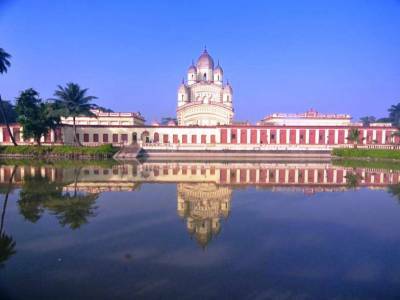 Dakshineshwar or Dakshineswar Temple is a famous temple of the Hindu Goddess, Kali, which is located on the eastern embankment of the Hooghly close to Kolkata. The temple was constructed by Rani Rashmoni in the year 1855 upon having a dream of the Goddess herself. According to legend, Rashmoni was ready to go on a long pilgrimage to Kashi in order to worship the Divine Goddess. But on the previous night of the pilgrimage, she had a reverie in which the Divine Mother appeared in the form of the Goddess and said that there was no need to travel to Banaras, instead build a statue in a temple on the banks of the Ganges. Upon having this dream, Rani Rashmoni founded the Dakshineswar temple which took eight years to be completed. 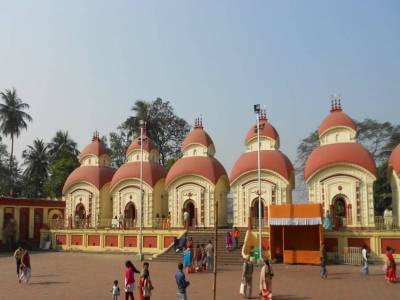 The three storey beautiful temple was made in the traditional Bengali style of Nava-ratna or nine spires which rises up to a height of 100 feet. There is a huge courtyard in the centre and rooms along the outer side. Apart from these, there is a temple dedicated of Radha and Krishna, a shrine devoted to Rani Rashmoni and twelve shrines of Lord Shiva, Goddess Kali’s companion. Ramakrishna used to spend a lot of his time in these temples of Lord Shiva. Many rituals are performed and ceremonies are celebrated in this auspicious temple. On the day of Amavasya (no moon night), many devotees come to worship to the temple after a daylong fast. In the month of jaistha of the Bengali calendar, worshipers perform Phalaharini Kali Puja in the name of Goddess Kali on a new moon night. The Prasad is presented to those who desire the offerings of the Goddess. 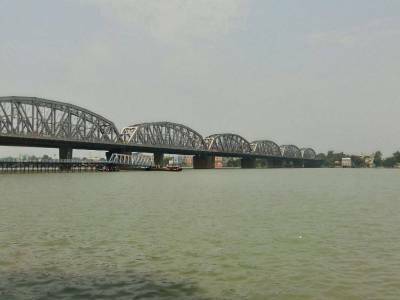 Two most important festivals are the Durga Puja and Kali Puja which are celebrated with great enthusiasm and grandiose events in the premises of the Dakshineswar temple by the worshipers. The temple is decorated with flowers and adorned with lights to celebrate the festivities. 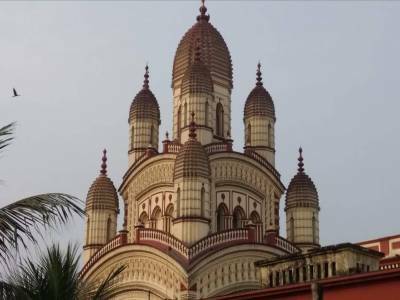 Get quick answers from travelers who visit to Dakshineswar Kali Temple.